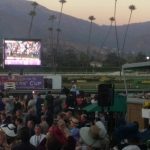 The official clocking on Arrogate’s special late-morning workout on Sunday was 1:11.94 for six furlongs, but the stopwatch doesn’t tell the whole story. America’s Best Racing (ABR) takes a look back at Horse Racing’s top breakout performances of 2016. Forent Geroux among the new stars. 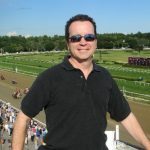 Rich Nilsen, founder of AGameofSkill.com and one of the top tournament players in the history of the NHC, offers up his full-card analysis for Saratoga on Saturday, August 27th. The analysis provides selections for every race plus three best bet spot plays. Each race includes Nilsen’s detailed pace scenario which explains how the race will set up. 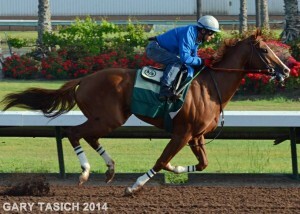 Nilsen has a longshot selection for the Travers’ Stakes that can upset the apple cart. Put an expert on your side as you attack Saratoga on their biggest day of the year. 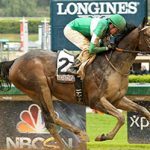 2016 Travers’s Day Recap: Nilsen picks top selection Haveyougoneaway who upsets the G1 Ballerina at odds of 10-1! Nilsen follows that score up by giving out top selection ARROGATE, track-record winner of the G1 Travers Stakes! $25.40 to win for followers of the sheet. Another top pick runs 2nd at odds of 17-1 in race 3 on August 27, 2016. 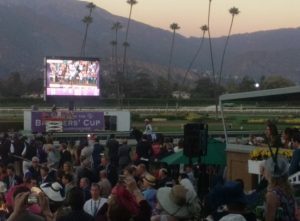 The Travers Day card features over $1.6 Million in Guaranteed wagers. There is a $400,000 Guaranteed Pick 5 beginning on Race 1. The $250,000 Guaranteed Pick 6 begins on Race 6 and the $1 Million Guaranteed Pick 4 begins on Race 8.